Magog, Qc, September 4, 2018 – Camso introduced its new RD 4500 Track Series during this year’s Farm Progress Show, Aug. 28–30 in Boone, Iowa. The new track offering provides a high-speed roading solution that maximizes uptime in the field and on the road. Tractors travel greater distances and pull larger implements than ever before. “As the track market leader, we’re committed to help drive the evolution of farming, and support the needs of our customers,” explains Martin Lunkenbein, Service and Aftermarket Sales Executive Director – Agriculture at Camso. Camso RD 4500 tracks provide the capacity to the tractor to achieve roading speed of up to 25 mph on narrow tracks with best-in-class product performance and durability. “By combining the best rubber compounds with our unique process, we can offer the market the right track to the market for roading and row crop applications,” explains Lunkenbein. Camso continues to be the number one choice of tracks suppliers among OEMs and closely collaborates with them to develop new products. Camso is releasing the new Camso RD 4500 Track Series with the introduction of the updated 2019 Case IH Rowtrac tractors. 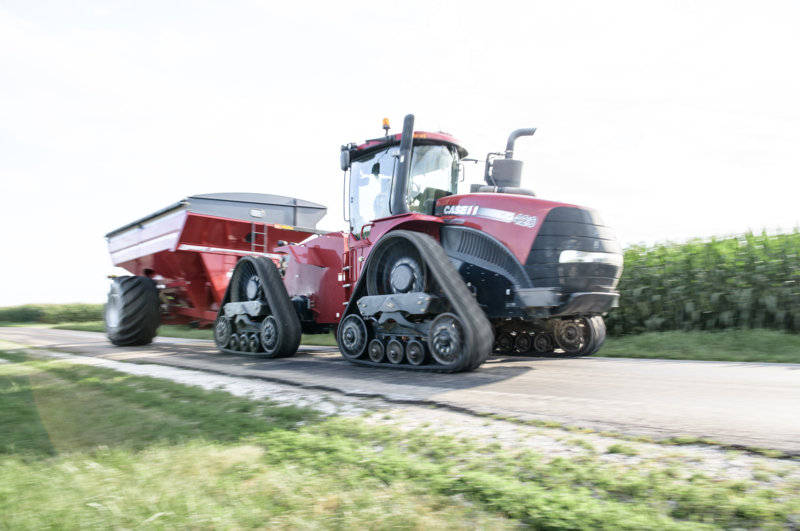 With the 4500 High Roading Tracks on the updated 2019 Rowtrac tractors, customers can travel up to 50 percent faster while pulling implements, when compared to the previous track generation. “Reduced travel time on the road means up to a 16% increase in productivity,” says Lunkenbein. To drive farming forward, Camso is developing and manufacturing the broadest range of tracks for all farming applications. “We offer tracks to increase mobility, flotation and reduce soil compaction. From field prep to planting, harvesting and transport, Camso tracks help producers maximize their work while lower operating costs,” confirms Lunkenbein.